We know that you want to make the most of your precious vacation time, and agreeing on what to eat for dinner isn’t always the easiest part of your holiday. So, why not combine both and add a little fun to it? 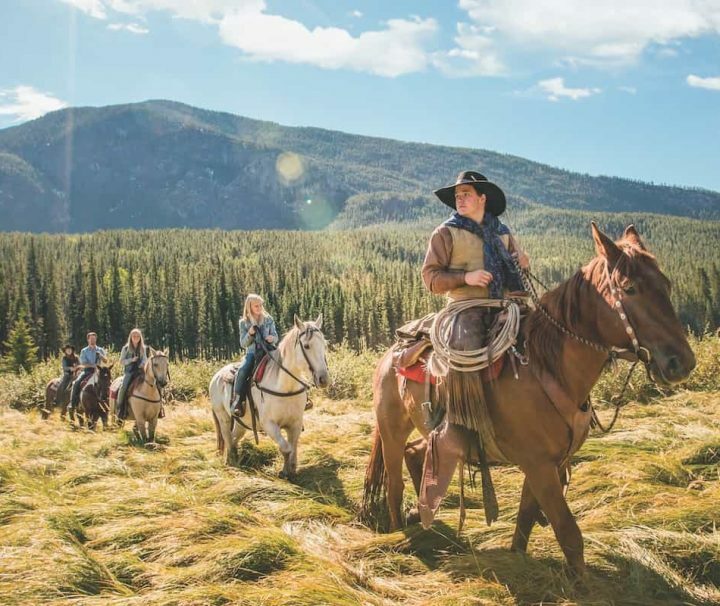 If there are two things we know best, it’s horseback riding in Banff and a good old-fashioned cowboy bbq – at Banff Trail Riders, we’ve combined both in a family friendly experience known as the Cowboy Cookout. When descending into Calgary International Airport and on your way to Banff from Calgary, you’ll probably have noticed the farmland that stretched as far as the eyes can see. These prairies are home to some of the most fertile soils and grazing areas around, so it’s no surprise that Alberta produces some of the best beef found in the industry. It’s also no surprise, that this farmland has a community and culture attached to it that we’re famed for. 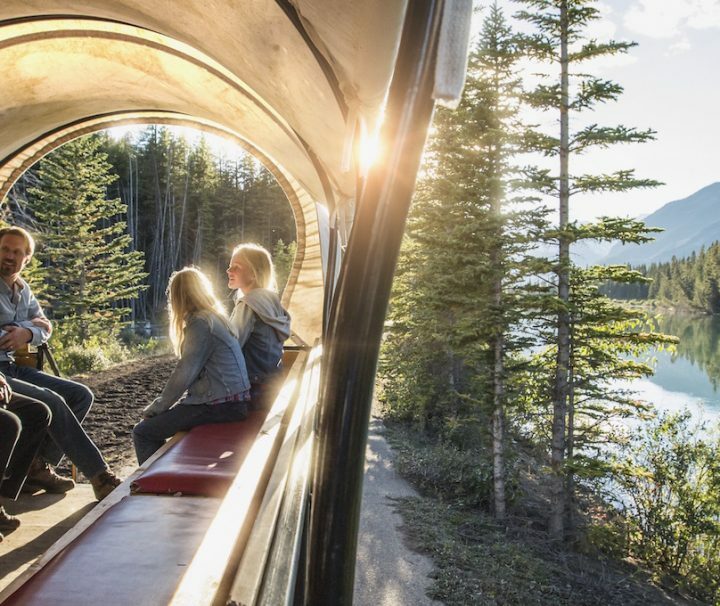 Activity with reward is probably the best kind around – and let’s be honest, it’s not hard work for you or your horse to be strolling through vibrant Rocky Mountain valleys while watching for wildlife and passing canoes on the Bow River. And if you’re still not hungry by the time you arrive at 3 Mile Cabin, we’re sure our games and interactive activities will do the trick. Try your hand at lasso, horseshoe, and other western games. If there’s some non steak lovers in the family, that’s perfectly fine – we have plenty of options including vegetarian ones to suit dietary needs. 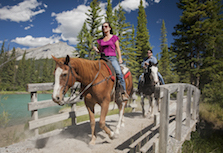 A Cowboy Cookout with Banff Trail Riders is a family friendly activity that is good for all ages. If kids are under the age of 8 or not ready to ride a horse, they’re welcome to jump in our wagon and meet the horseback riders at the cabin. This is still a great way to enjoy a similar route and everyone gets to eat at the BBQ together.